Big brother ‘biggie’ has once surprised the housemate, as Mavins producer, Don jazzy and DNA paid housemates an interesting visit inside the Big Brother house. 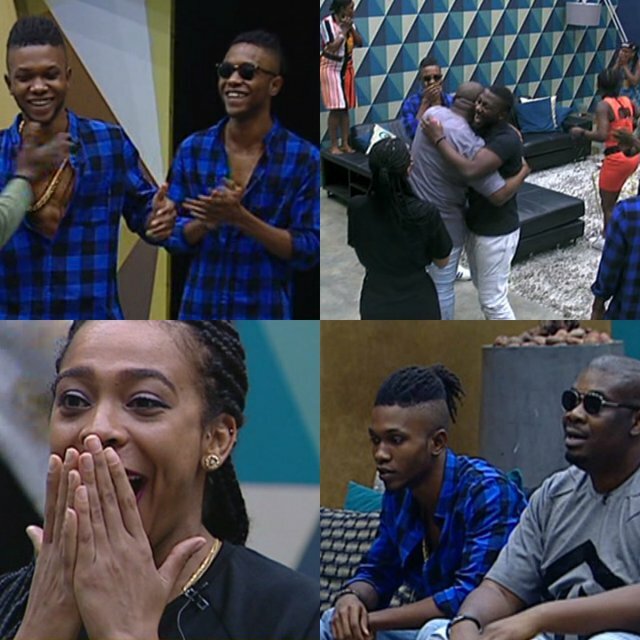 The housemates jumped on the Mavin boss in sheer excitement. Don jazzy had earlier denied reports making the rounds that he had plans to sign Debbie-rise into his record label. He jokingly replace Marvis' name with Marvins and complemented T-boss by calling her a fine girl. Recall that, Efe, Sunday won head of house task as Thin Tall Tony got evicted at the Big Brother eviction show after scoring the lowest vote among housemates nominated for eviction during the week.